Meadows & Ohly served as the team leader for the development of the Baptist Medical Center North Medical Office Building, which is a 58,000 SF outpatient services facility that opened in March 2017. The theme of the facility is “healthy living” as it combines wellness (via a neighborhood YMCA as the first floor tenant), lifestyle coaching for healthy living, medical care and diagnostics. The Baptist North Campus also includes a freestanding Emergency Room and Imaging Center with the capability to serve both adults and children as well as a full service imaging center which are co-located in a building adjacent to the new MOB. 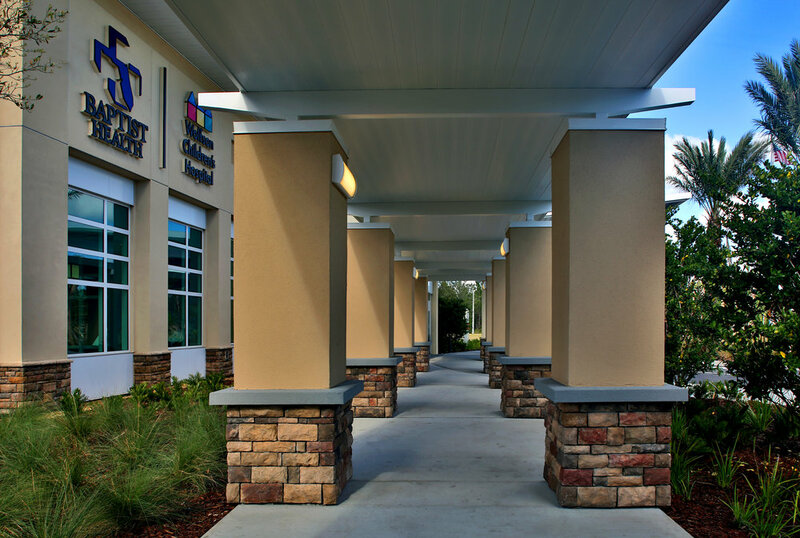 Meadows & Ohly also led the development of an 80,000 SF MOB that includes the Wolfson Children’s Specialty Center on the Baptist Clay Campus in Fleming Island.